This article is about the Western tradition. For the Eastern tradition, see Mandate of Heaven. For various rulers who claim a divine relationship, see God emperor (disambiguation). The divine right of kings, divine right, or God's mandate is a political and religious doctrine of royal and political legitimacy. It asserts that a monarch is subject to no earthly authority, deriving the right to rule directly from the will of God. The king is thus not subject to the will of his people, the aristocracy, or any other estate of the realm. It implies that only God can judge an unjust king and that any attempt to depose, dethrone or restrict his powers runs contrary to the will of God and may constitute a sacrilegious act. It is often expressed in the phrase "by the Grace of God", attached to the titles of a reigning monarch. In the pagan world, kings were often seen as either ruling with the backing of heavenly powers or perhaps even being divine beings themselves. However, the Christian notion of a divine right of kings could be traced to the biblical story found in 1 Samuel, where the prophet Samuel anoints Saul and then David as king over Israel. And the anointing is to such an effect that the monarch became inviolable, so that even when Saul sought to kill David, David would not raise his hand against him because 'he was the Lord's anointed'. In ancient Rome the title Divus meaning godlike, was given to Julius Caesar by the senate declaring him a god posthumously. He claimed relation from both Venus and Mars through Aeneas and Ancus Marcius respectively. His great-nephew Augustus adopted the term Divi Filius as well. Adomnan of Iona is one of the earliest Christian proponents of this concept of kings ruling with divine right. 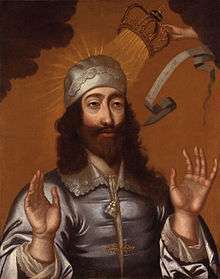 He wrote of the Irish King Diarmait mac Cerbaill's assassination and claimed that divine punishment fell on his assassin for the act of violating the monarch. Adomnan also recorded a story about St Columba supposedly being visited by an angel carrying a glass book and telling him that he needed to ordain Aedan mac Gabrain as King of Dal Riata, but Columba initially refused and to this response, the angel answered by whipping him and demanding that he perform the ordination because God had commanded it. The same angel then visited Columba on three successive nights, and then finally Columba agreed and Aedan came to receive ordination. At the ordination Columba told Aedan that so long as he obeyed God's laws, then none of his enemies would prevail against him, but the moment he broke them, this protection would end and the same whip with which he had been struck would be turned against the king. Adomnan's writings, most likely influenced other Irish writers, who in turn influenced continental ideas as well. Pepin the short's coronation may have also come from the same influence. The Carolingian dynasty and the Holy Roman Emperors also influenced all subsequent western ideas of kingship. In the Middle Ages, the idea that God had granted earthly power to the monarch, just as he had given spiritual authority and power to the church, especially to the Pope, was already a well-known concept long before later writers coined the term 'divine right of kings' and employed it as a theory in political science. The immediate author of the theory was Jean Bodin, who based it on the interpretation of Roman law. With the rise of nation-states and the Protestant Reformation, the theory of divine right justified the king's absolute authority in both political and spiritual matters. The theory came to the fore in England under the reign of James I of England (1603–1625, also known as James VI of Scotland 1567–1625). Louis XIV of France (1643–1715) strongly promoted the theory as well. James's reference to "God's lieutenants" is apparently a reference to the controversial text in Romans 13, where Paul refers to "God's ministers". Historically, many notions of rights were authoritarian and hierarchical, with different people granted different rights, and some having more rights than others. For instance, the right of a father to respect from his son did not indicate a right for the son to receive a return from that respect; and the divine right of kings, which permitted absolute power over subjects, did not leave a lot of room for many rights for the subjects themselves. ↑ A speech to parliament (1610). ↑ that is, the commandment: "Honor your father ..." etc., which is the fifth in the reckoning usual among Jewish, Orthodox, and Protestant denominations, but to be according to the law, yet is he not bound thereto but of his good will ..."
↑ Beasley, William (1999). "The Making of a Monarchy". The Japanese Experience: A Short History of Japan. University of California Press. p. 29. ISBN 978-0-520-22560-2. ↑ Ramanujan, A.K. (2011). Poems of Love and War: From the Eight Anthologies and the Ten Long Poems of Classical Tamil. Columbia University Press. ISBN 978-0-231-15735-3. ↑ N. Subramanian (1966). Śaṅgam polity: the administration and social life of the Śaṅgam Tamils. Asia Pub. House. ↑ "Divine Right of Kings". BBC. 2007-10-11. Retrieved 2009-12-21. 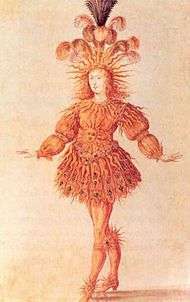 [...] the idea that a king was sacred, appointed by God and above the judgment of earthly powers [...] was called the Divine Right of Kings and it entered so powerfully into British culture during the 17th century that it shaped the pomp and circumstance of the Stuart monarchs, imbued the writing of Shakespeare and provoked the political thinking of Milton and Locke. ↑ Dickens, A.G. (1978). The English Reformation. London & Glasgow: Fontana/Collins. p. 399. 1 2 Dickens, A.G. (1978). The English Reformation. London & Glasgow: Fontana/Collins. p. 391. ↑ Dickens, A.G. (1978). The English Reformation. London & Glasgow: Fontana/Collins. p. 358. ↑ Adams, C.F. (1850–56). The Works of John Adams, with Life. 6. Boston. p. 4. Burgess, Glenn (October 1992). "The Divine Right of Kings Reconsidered". The English Historical Review. 107 (425): 837–861. doi:10.1093/ehr/cvii.ccccxxv.837.